Drausin is a grass farmer that raises organic milk, 100% grass fed beef and lamb, Pastured chicken, Pork and Pastured eggs. He says farming organically is "original to our bodies" and they believe in it. With this type of operation can be very exciting and a challenging adventure with a lot of commitment needed. Drausin's program is all about movement of his livestock. Making his program challenging as he needs a lot of control and ensuring the livestock have access to water and feed. "It's a very sophisticated piece of machinery, very simple and that is what makes it sophisticated. 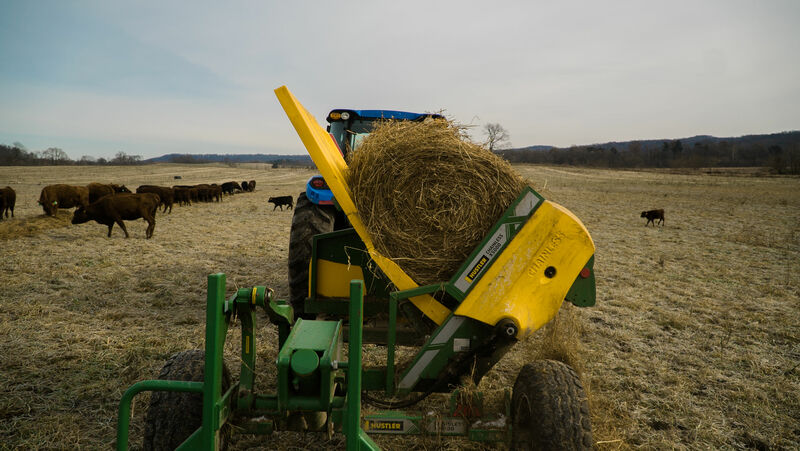 It's simplicity and how well it works"
Using a traditional method of hand feeding hay, Drausin ended up using an old bale wrapper for some help in unrolling the bales. This wasn't a great solution as it was time-consuming and physically straining on his body. Wrestling with the bales constantly while the spears sometimes would rip them causing nothing to unroll or it would unroll getting the core jammed, causing a lot of waste. After losing his right-hand man on the farm and being in his mid-sixties he knew he needed a better solution. 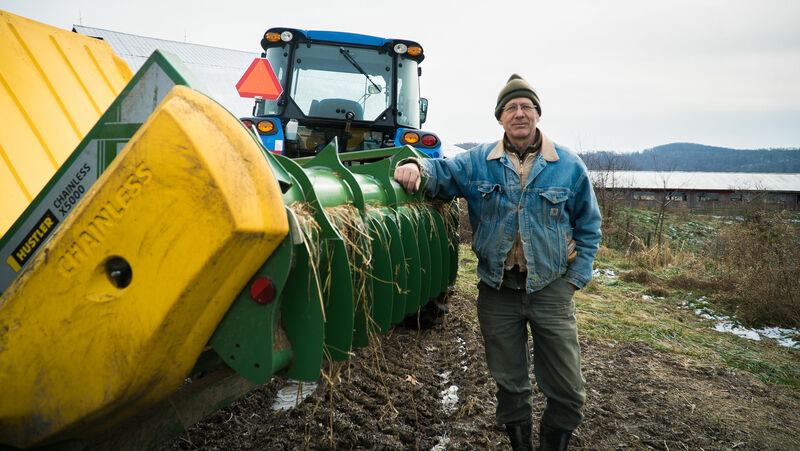 "Moving into my mid sixties, I'm done with wrestling bales of hay, so we got a Hustler for this purpose, which has relieved the physical strain"
He started his search and came across Hustler Bale Processors. After viewing the X5000 bale feeder at his local dealer, it was a no brainer that this would be a game changer for his operation. The Hustler Bale unroller has relieved Drausin's physical strain, saving him time and has made it possible to overcome the challenges of being able to feed anywhere on the farm. 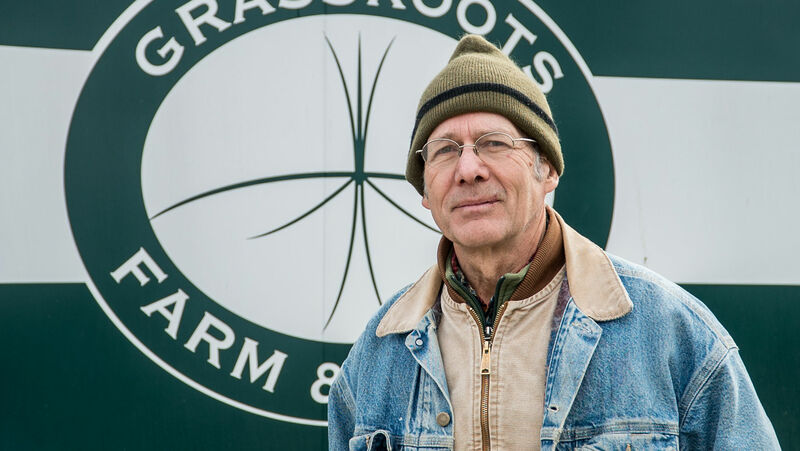 Drausin is rapt that Hustler has become part of his program and vision on the farm in raising organic livestock. "We have been very pleased with it"